THE FOXLEY DOCKET (TFD): You’re a passionate believer in using local produce, particularly from farms and seafood – why is this so important to you? 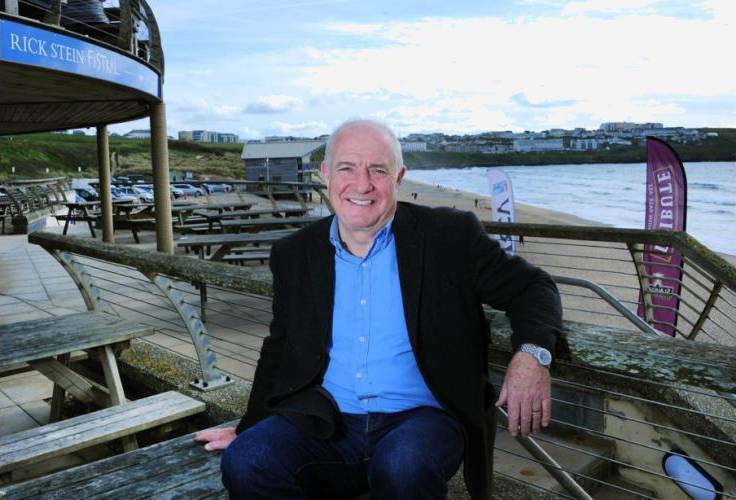 RICK STEIN (RS): It’s just something I’ve done all my working life, really. When I opened in the mid-seventies, there wasn’t much in Cornwall that you could get that wasn’t local, simply because the transport of food has got so much more sophisticated in the past 40 years. It was normal to buy vegetables from local farmers, to use the local butchers and obviously you’d get all the fish locally. It’s not an intensely held belief, it’s just what I’m used to. I was born and brought up on a farm in Oxfordshire, so it was normal for us to use farm-grew produce to cook with, and that’s my background. My parents cooked really simple British food using top quality produce, and that’s what’s kept me going. I’m not a great proselytiser about local produce, it’s just what I do, particularly with the fish of course. TFD: Let’s talk ‘Long Weekends’, which is new recipes taken from your travels around Europe. Which of these particularly stood out to you? Is there anything you considered unconventional which you enjoyed? RS: There were one or two things in the book that I certainly wasn’t sure would work. I’m thinking particularly in Iceland, there’s two recipes – one is for Liquorice Meringues – they use a lot of liquorice in Iceland. TFD: Are you a liquorice fan? RS: I am! But it’s always been sweeties to me. But then you use the powder and it works really, really well. 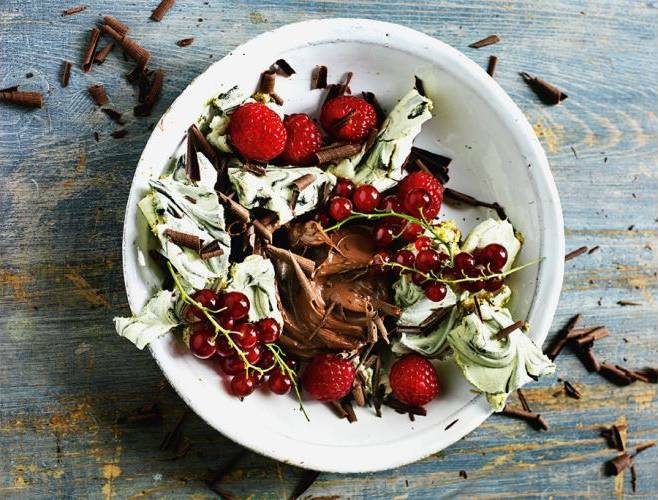 In the book, there’s a recipe a bit like an Eaton Mess, but instead of having whipped cream, it has chocolate cream. It’s got meringues with liquorice in it and lots of fruit to go with it, so that’s one thing. Another of the dishes in Iceland, not that we were ever going to cook it, but we filmed me trying, was a thing called ‘stinky skate’, which is very, very rotten skate, stinking of ammonia. TFD: Is that a delicacy there? RS: It is! And they have fermented shark, it’s almost like a rite of passage for young people to eat this really quite disgusting fish and slug back a shot of a liquor called Brennivin, which is basically an aquavit flavoured with Caraway seeds. In Iceland as well, there’s a recipe in the book for a wholly vegan dish. Normally, I wouldn’t go near vegan dishes because it’s just not my cup of tea, but I sort of took to the woman who was cooking it! She’s actually a well-known TV cook in Iceland. I put it in the book because it was actually really good. So, I don’t always go for things that look immediately lovely, but basically I do. 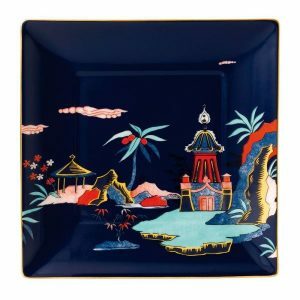 The fact is that choosing ten or eleven recipes from ten cities was pretty easy, simply because I just skimmed off the very best dishes that I could find. Obviously I’ve got quite a nose for good dishes now, but also I was helped enormously by some serious research, which is done not only for the book, but for the TV series as well. TFD: What did you find particularly surprising along the way? RS: I suppose the first thing to say about that is that I’ve had so many rather disappointing experiences in France recently. I think the restaurants in France are just finding it really hard. Funnily enough, a French guy that works for us said the problem is that they are only allowed to employ people for 35 hour weeks. Basically, in our industry, you can’t! You have to work 50 hour weeks and that’s just the way it is, so there’s always a shortage of staff. If you have to employ somebody and only get 35 hours out of them, and then you employ somebody else, it just increases your wage bill enormously. So part of the problem with French restaurants is that they’re not staffed enough. I thought in Bordeaux that I was going to be disappointed but this wasn’t the case at all, and I think maybe the cities in France – because Sas, my wife and I always have great experiences in Paris and Bordeaux was fabulous. I suppose the only place that I found it not totally to my liking was Copenhagen. Having said that, I liked the local food in Copenhagen, but I have a bit of a problem with all the new Nordic cooking that’s happening there with places like Noma (a ‘gastronomic mecca’ run by Chef Rene Redzepi). I wouldn’t say I dislike them, but I just find there’s too much emphasis in Copenhagen on that sort of food, and not enough on reviving great old dishes. TFD: While on your journey across Europe, how did you decide on the locations visited which you ate at? RS: We just drew up a list – I say, ‘we’, I mean myself, my director, David Pritchard who I’ve always worked with, and the BBC. The BBC had quite an influence on where we wanted to go – they suggested we went to Iceland, for example. They knocked back a few places that we wanted to go to. They knocked back Nuremberg because they thought it still had Nazis. I thought ‘this is bloody ridiculous, it was fifty or sixty years ago!‘ So we went to Berlin instead, which was a fabulous choice. 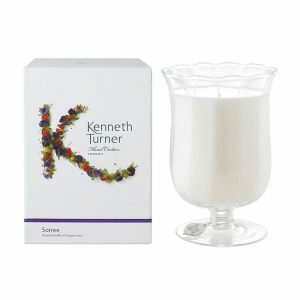 The series came first and the book was published as an accompaniment to the series. But in fact, the book stands up in its own right, because it’s not just about the cities I went to, but it’s also about cooking over the long weekend at home. My view is that people tend to take a bit more time and care to cook during the weekend, simply because they’ve got the time to do it. Left; Rick Stein OBE and Editorial Coordinator Daniel James Parry. 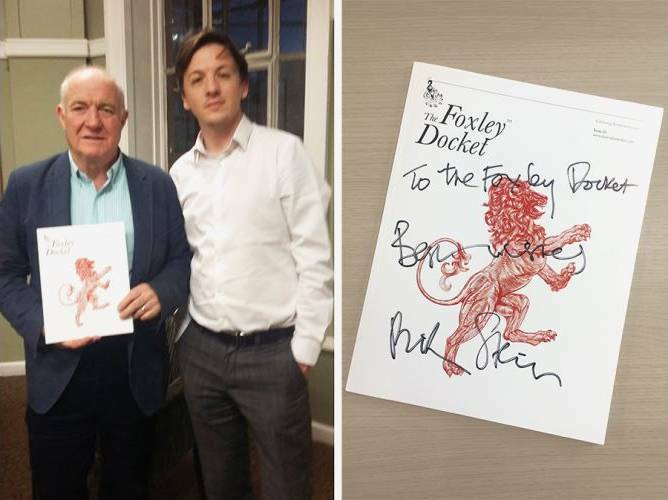 Right; The Foxley Docket signed by Rick Stein. TFD: You’ve spent many years travelling the world and trying various cuisines from all over the world. In this time, what do you feel has changed within normal cooking, and what do you think are the reasons behind this? RS: I started cooking, well actually working in a hotel in the late sixties, so I’ve been through it all. TFD: Was this in Cornwall? RS: No, this was in London. But I think what’s changed is people’s appreciation and knowledge of food, and that’s really because of more disposable income over that period and cheap travel. There’s also a growing food and leisure section to all magazines and newspapers, so basically going along with that are certain cookery programs. Even something like ‘Masterchef’, even though you might say it’s a gameshow, still keeps food in people’s attention. TFD: Like The Great British Bake Off? RS: Exactly! I think that’s what’s happened – because of programs like that, food has become such a massive, important part of our lives. There’s that old expression, ‘do you eat to live or live to eat?’ And I think people nowadays live to eat. TFD: What would you say is the finest British dish that can’t be found anywhere else? RS: I suppose if we’re here in the glorious county of Lancashire, I’d have to say Lancashire Hotpot! It’s very specific to an area in Britain, it doesn’t tend to get cooked anywhere else much in Britain, let alone abroad. The thing is, with the pickled red cabbage that always comes with it, it is a pretty good dish. It’s a good balance, and it’s based on lots of dishes like that which are basically meat and vegetable stews in different ways, but I really rate it, so there you go! 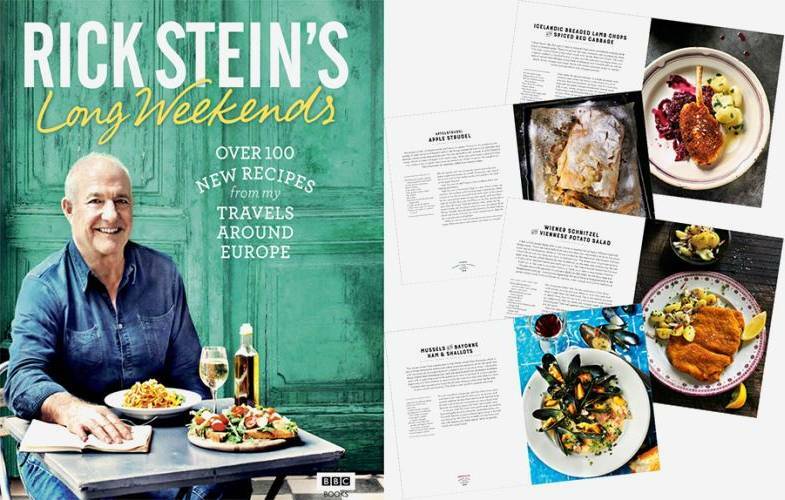 Rick Stein’s ‘Long Weekends‘ is available now.